Until recently, all I knew was that my car was converted to RHD by Ruddspeed (see attached plate - serial number 158RD) before coming out to Australia early in its life. However, the Alfa factory historian could not match the chassis number with Alfa's records. After removing the engine last week I was able to scrape off the paint and reveal the true chassis number (AR*382001*) which did not match any of the numbers in the usual Alfa records. The mystery was solved today when Alfa's historian, Marco Fazio, found that two cars were made with the AR*38xxxx* prefix early in 1963. All other Giulia Sprint 1600s (tipo 101.12) are numbered AR*35xxxx*. Both cars went to England. Mine is recorded as having been built on 21 January 1963 and sent to Rudd Ltd on 18 February 1963. It therefore seems possible that the Alfa factory and Rudds were evaluating possibilities either for large-scale conversion of Giulia Sprints to RHD, or the development of a RHD version. I have no proof, but something special was happening to have two cars produced with out-of-series chassis numbers and sent to Rudds. 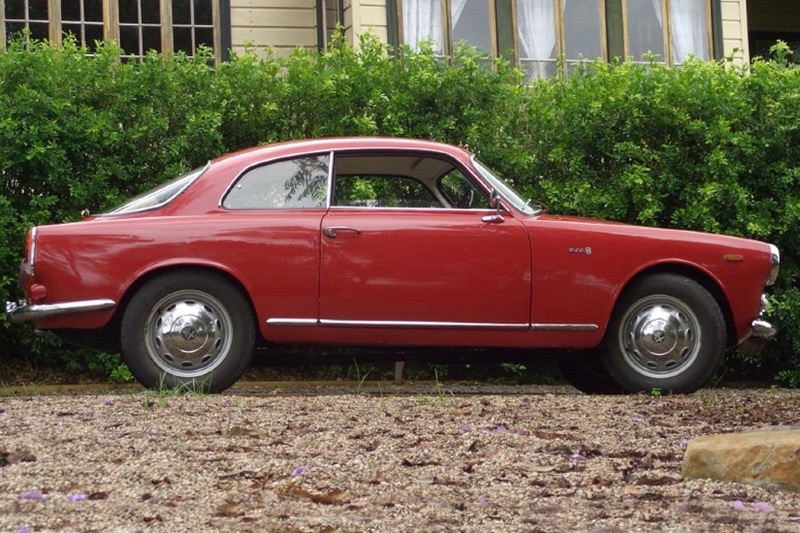 Rudds had already converted Giulietta Sprints to RHD. K.N. Rudd (Engineers) Ltd was an agent for Alfa, as well as converting cars. Several English motor magazines carried articles about Ruddspeed-converted Giulietta Sprints in 1962: Autosport of March 9, 1962 drove a converted Giulietta Sprint Veloce (the hotter, twin-Weber version) and Motor of July 18 drove a converted Giulietta Sprint (single carb version). Copies of both articles are reproduced in Alfa Romeo Giulietta Gold Portfolio 1954-1965, published by Brooklands Books." We'd love to hear from other Alfa owners who's car were given the Ruddspeed treatment.